Can be applied universally thanks to the adjustable SRP reel seat. 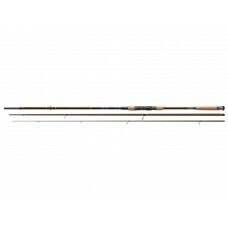 Suitable for pike, seatrout, salmon, light rock fishing. With the APM SRP we offer a well-balanced rod for fishing for trout or fishing with float for coarse fish or zander. Equipped with adjustable SRP reel seat, cork handle and lightweight SiC guides.